IMMACULATE & MOVE IN READY HOME w/almost $100K IN FINE UPGRADES & modifications rarely seen in one home. Located in FOUR SEASONS, A PREMIER GOLF COURSE COMMUNITY for Active Adults 55+, GUARD GATED & 24/7 SECURITY. RICH WOOD CABINETS, GRANITE COUNTERS, COMPUTER DESK, WOOD GRAIN FLOORS, CROWN MOLDING, ARCHED DOORS/TRIM, WOOD CASED WINDOWS, SLIDING DOORS TO EXTERIOR AT MBR/BR 3, UPGRADED BATHS, CUSTOM PAINT, GARAGE W/EPOXY FLOOR & BLT-IN CABS & MORE! Walking distance to The Lodge W/RESORT AMENITIES., Features/Upgrades include: Premium Golf Course Lot w/No Neighbors - $18,000, Upgraded Cabinets T/O - $10,000, Kitchen Upgrades: High End Granite Counter Tops & Full Back Splash - $10,000, Upgraded Stainless Steel Appl. - $3000, Computer Desk at Kitchen - $1500, Relocated Kitchen Slider - $1500, Custom Woodwork - $25,000 includes Crown Molding T/O including BA, All Arched Doors & Trim, Enlarged & Wood Cased Openings at LR & Entry, All Windows Full Wood Cased. BR 3 in lieu of Office (Added Closet, Door & Moved Entry Wall) - $1500, Sliders to Courtyard from Mstr BR & BR 3 - $5000, Ceramic Tile Shower in Master (Fiberglass was Standard) - $3000, Upgraded Bath Counter Tops & Bronze Hardware - $2500, Custom Paint - $2500, Wood Grain Floors & New Baseboards - $5000, Ceiling Fans All BR's & LR, Custom Light Fixture at Dining - $250, Every Switch & Outlet Cover in Entire Home Upgraded - $500, Laundry Room w/Upper Cabs, Washer, Dryer $1000, Epoxy Garage Floor & Built In Cabs - $2500, Over-sized Yard w/Private Courtyard, Stamped Concrete & Drip Irrigation - $7500. All within walking distance to The Lodge with Bistro, movie theater, library, computer room, billiard room, card & craft room, ballroom, fitness center, exercise room, beauty shop, pool, spa, BBQ area, tennis courts, pickle ball, bocce ball, shuffleboard & more for active adults 55+. 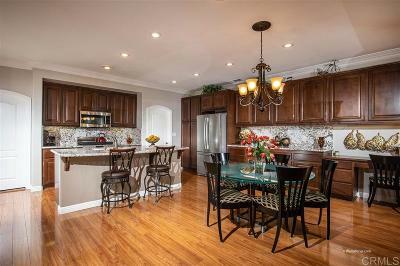 Four Season Hemet is a prestigious guard gated golf course community with resort living for active seniors 55+. Guard gated entrance with 24-hour roving patrol. Community pool & spa heated year-round. Hiking & biking trails. Temecula Wine Country nearby. 75 miles to San Diego, 80 miles to Los Angeles, 40 miles to Palm Springs.